Mike Lauesen is a lifelong learner and student. His purpose in life is to make an impactful, positive difference in every life he touches. He was greatly influenced by his upbringing. He grew up with seven brothers and sisters in a modest three-bedroom ranch-style home with one bathroom. Mike worked several jobs in high school, learning the value of hard work from his parents and older siblings. He calls himself a recovering CPA and computer salesman who founded his own chemical coating company at the age of twenty-eight. After building the enterprise into a multi-million dollar international company, he exited as founder/CEO and started a new career as a professional speaker and life coach. He enjoys his family, cycling, travel, and rooting for the Chicago Cubs. In 2017 Mike released his first book, "Getting off the Treadmill: Escaping the Race to Nowhere." 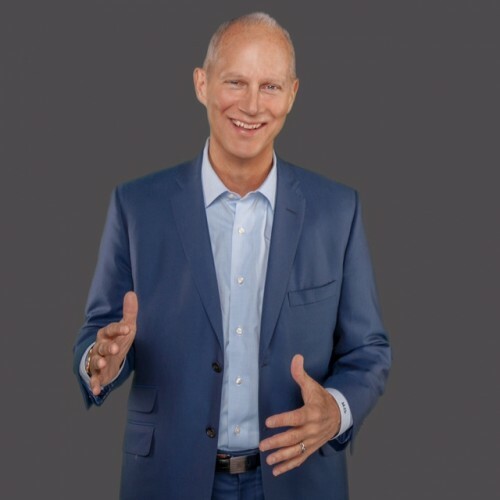 Mike is a Competent Toastmaster (International Speaking Association) a member of National Speakers Association and coaches/ mentors business leaders or anyone who is a ready student. He is passionate, entertaining, and motivates audience members to take immediate and meaningful action steps at work and in our personal lives. Find out more about Michael J. Lauesen at http://www.gettingoffthetreadmill.com.